Like a beautiful, straight smile, a full head of hair translates a sense of youthfulness, vitality and even success. Thus, when individuals experience thinning hair, or when hair loss is significant, it becomes a source of insecurity with emotional and social consequences for some. Fortunately, new-age techniques in hair transplantation provide men and women with a variety of solutions, no matter the extent and cause of their hair loss. Therefore, whether due to heredity, aging, hormonal changes, stress, disease or trauma, hair loss can be restored in a painless, discreet manner. At Beverly Hills Center, Dr. Ben Talei is renowned for creating natural results using distinguished techniques in Follicular Unit Transplantation (FUT), Follicular Unit Extraction (FUE) and Platelet-Rich Plasma (PRP) Injections. With utmost precision and artistry, Dr. Talei has also invested in the advanced NeoGraft Hair Transplant technology. Why Choose NeoGraft for Your Hair Transplant? Creating discrete, natural-looking results, the NeoGraft hair transplant system is an automated process using Follicular Unit Extraction, or FUE. Specifically, the NeoGraft method involves removing individual hair follicles from the back of an individual’s head or donor area. The follicles are extracted in their original groupings of 1 to 4 hairs, and they are intentionally implanted in the areas where hair loss has occurred. The NeoGraft system is incredibly appealing for men and women alike, as it is the least invasive option for hair transplantation, requiring no stitches, staples or scalpel. Not only can individuals rediscover a full, natural hairline using their own hair, they needn’t worry about linear scarring or activity restrictions, as many can return to work the next day. Given the experience and expertise of Dr. Ben Talei at Beverly Hills Hair Group, the NeoGraft system offers expedient harvesting and implantation of hair follicles with greater healing times and maximum hair regrowth for the long-term results that patients deserve. 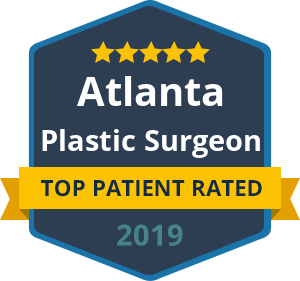 With integrity and professionalism, Dr. Ben Talei remains a trusted source for hair restoration and the most delicate hair transplant procedures, including the NeoGraft “scarless” technique. To schedule your appointment, contact the Beverly Hills Center today.